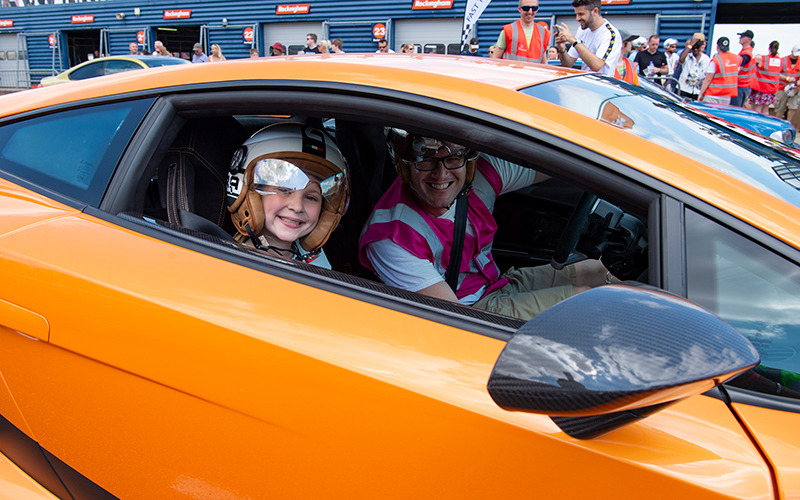 Enjoy a once-in-a-lifetime passenger ride in some of the world’s most iconic supercars from just £30 at The Supercar Event, raising money for The Children’s Trust charity, helping children with brain injury. Apart from the action on the track we have helicopter rides from £45, you can test your driving ability in the F1 Team Mercedes simulator and teenagers can take their first driving lesson. Join us at glorious Goodwood Motor Circuit on Saturday 1st June 2019. Our younger guests can enjoy the dedicated children’s area. If you want to make a real day of it try our hospitality in the VIP Lounge. Ticket price includes entrance, VIP parking, one supercar ride and food & refreshments throughout the day. 100 supercars will descend onto the Goodwood Motor Circuit including the Lamborghini Aventador S, Ferrari 488, the McLaren 675 LT and a few surprises. Whether you’re looking for the perfect gift that will appeal to petrolheads or a great day out for the whole family, The Supercar Event will be sure to deliver an unforgettable experience. A number of well-known personalities, such as Chris Evans, Andrea McLean, Phil Tufnell, Shane Richie have taken part previously with hosts including Craig Phillips, Nick Whale, Alexandra Legouix and Rebecca Jackson, helping raise thousands of pounds for The Children’s Trust. British Indycar Driver and former Formula 1 Driver Max Chilton who has been part of the action at The Supercar Event said “the event is breathtaking. People love getting so close to the world’s most spectacular cars”.